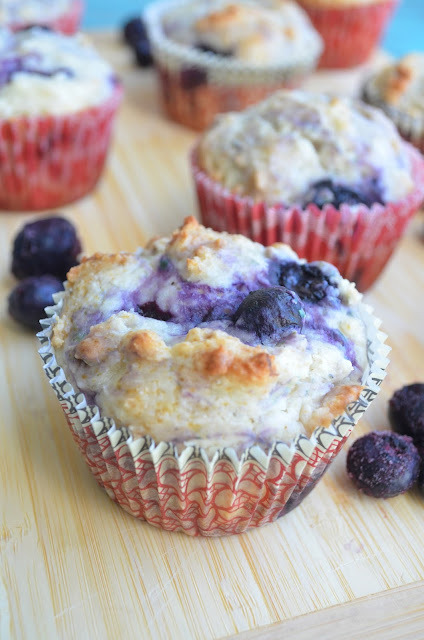 Blueberry muffins are my favorite type of muffin. I love the pop of blueberries in my mouth when I bite into one. The trick to a moist muffin is to make sure you don't overmix the batter. Otherwise you'll be left with a dense and heavy muffin and nobody wants that. Mix just until combined and you should be golden! I decided to make these and freeze most of them for quick treats after Baby Clarke is here. 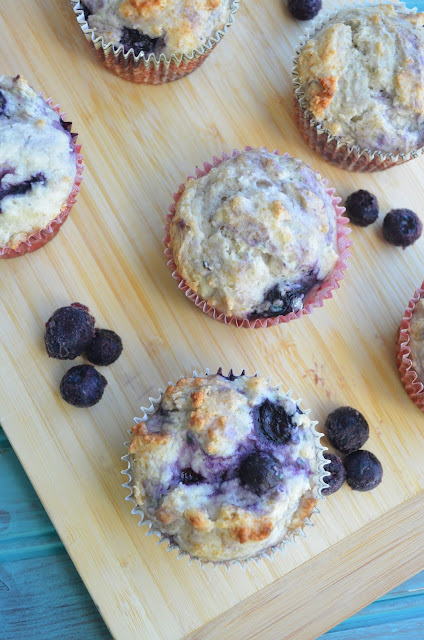 My favorite blueberry muffins are usually topped with some sort of crumb topping, but these are perfect for freezing and eating at a later date since I wasn't sure how crumbs would hold up in the freezer. They're really moist and flavorful, so I don't even miss the crumb topping all that much anyways. If frozen, they thaw easily at room temperature or can be zapped in the microwave for 30 seconds for a REALLY quick snack. Enjoy! You can also wrap the muffins individually with plastic wrap and place them in a large ziplock bag to put in the freezer. They thaw easily at room temperature or you can zap them in the microwave for 30 seconds for a quick treat. They'll last for about 3 months.